100 count = .25 ea. 200 count = .20 ea. 300 count = .17 ea. 500 count = .12 ea. 1,000 count = .10 ea. 2,000 count = .085 ea. 3,000 count = .0825 ea. 4,000 count = .079 ea. 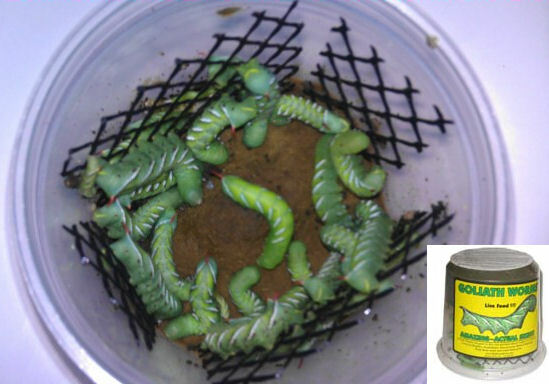 Hornworm eggs must be shipped either overnight or 2nd day (no priority mail due to the highly perishable nature of this product). PRICE INCLUDES STYROFOAM BOX AND COLD/HEAT PACK AS NEEDED!